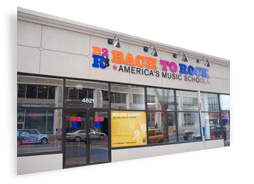 The information you provide will be used by Bach to Rock (B2R) for internal purposes only and will never be shared with third parties. By checking this box, you acknowledge, understand and agree that B2R shall in no manner be liable for any accident, injury, loss, theft or damage which may be sustained on the premises in conjunction with the participation in the party at B2R. Please note that B2R may from time to time photograph or make audio or video recordings of party attendees for the purpose of advertising, promoting and increasing awareness of B2R. By checking this box, you give permission for B2R to so photograph and make such audio and video recordings. B2R will own the copyright of its photographs and audio and video recordings and as such may publish the same in any medium. *I agree to the policies stated in this form.